Holiday homes in Rogaland offer you an idyllic getaway location illuminated throughout the year by the northern lights and situated on the coast where the sea seems to merge with the sky. Filled with fjords, beaches and islands, this magic region has Viking history, but it has in fact been inhabited since the Stone Age. Archaeological finds in the area date to the Bronze, Iron and Viking ages, and that ancient heritage is still palpable today. 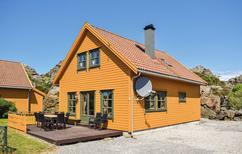 Your holiday home in Rogaland offers you an incredible range of experiences. Besides the idyllic beaches that characterise the landscape, Rogaland is home to a number of internationally acclaimed festivals. Maijazz, Chamber Music and The Gladmat (food with a smile) Festivals all draw visitors from around the world. In the summer, the downtown district of nearby Stavanger is converted into a beach volleyball arena. Any vacation in this area of Norway would be lacking without checking out Prekestolen, Kjerag and Gloppedalsura natural rock formations, which make prime holiday snap fodder. 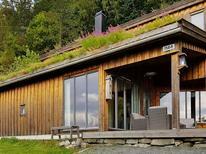 Another must-do when you rent a holiday apartment in Rogaland is the reconstructed Iron Age farm at Ullandhaug. Here you can get in touch with what life was like in 350-500 AD. Whether or not you choose to stay in a traditional fishing lodge, its impossible not to be moved by the ancient roots of the landscape near the popular west coast city of Bergen, trodden by people for millennia. Why book online through TUIvillas.com? 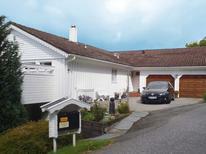 TUIvillas.com gives you the trustworthy platform you need to rent your ideal holiday home in Rogaland. Whether you are looking for an elegant fishing lodge or a cosy cabin, TUIvillas.com is a reliable source of top quality holiday apartments for all tastes and budgets.